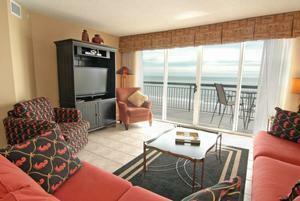 OCEAN ISLE BEACH, NC – Located just a short drive from North Myrtle Beach, Tiger’s Eye is one of “The Big Cats of Ocean Ridge Plantation.” Opened in 2000 this is another Tim Cate memorable design. One of my favorite golf course architects Cate has crafted a magnificent layout utilizing what the land has provided. Carolina pines, wild flowers and native grasses, border undulating fairways with noticeable elevation changes. Waste bunkers wrap around pastoral oak trees. All elements of nature combine to present a very visually appealing golf course, where no two holes are alike. The par 72 Tiger’s Eye measures 7014 yards from the championship tees and is rated at 73.3/141. Blue tees measure 6628 yards at 70.9/135. The white tees are a very playable 6120 yards at 68.1/124, while the gold tees are an enjoyable 5136 yards and rated 65.0/103 for men and 69.0/123 for the ladies. The forward tees are 4502 yards and rated at 66.3/107. Choose the length and rating/slope that best fits your handicap for an enjoyable round. A pleasing round is definitely awaiting you. This course is very playable and will not punish you for slight mistakes. A wayward drive may find a fairway trap or waste bunker, but only the most devilish duck hook will find the trees. Although water is visible on many holes, there are no forced carries. The large bent grass greens are in great shape. With their undulation a Sunday pin position will challenge even the best putters. The course length tends towards the par 5s with each exceeding 500 yards in length and only one less than 525 yards from the blue tees. No. 18 is a great finishing hole requiring both length and shot making challenges. At 555 yards the drive will need to clear a small burn that crosses the fairway with hazards to the left and right protecting the landing area. A waste area to the right and a fairway trap to the left challenge the golfer to make a solid lay up shot. Water behind the green should not come into play, but if it does watch for the large gator that calls that area home. The par 4s are particularly attractive to my game. Although I’m distance challenged, many pins could be reached in regulation. Both No. 1 and No. 10 are great starting holes and allow the golfer a scoring opportunity to begin their 9. No. 5 is a particularly attractive risk/reward golf hole. A bunker with trees sits in the middle of the fairway and the player needs to make a decision. Play left over water to the landing area and risk going to far left leaving no approach shot. Going right of the bunker makes the hole play its full length, a challenging 406 yards from the blue tees. The par 3s are visually stunning and can have a little intimidating look to them. Trust your distances and do allow for elevation changes. No. 2 is a perfect example. From the tee you’re looking over water to a raised green with bunkers protecting the front. A small bailout area is right of the green, but requires a good flop to get on the green and to the pin. Going left makes a very difficult downhill chip that stopping is a challenge. A par on any of the Par 3s is a good score. Being a huge fan of Tim Cate designs, Tiger’s Eye was a course I was quite anxious to play. I was not disappointed. 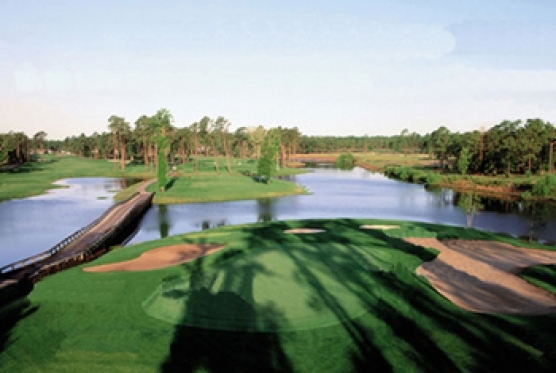 Add this Big Cat to your bucket list of Myrtle Beach Area golf courses.